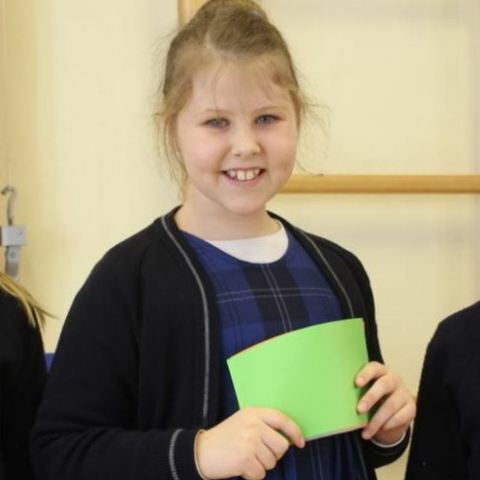 Pupils from Beechwood Park School in Markyate have successfully represented their school in the district semi final of the Rotary Club Youth Speaks Competition securing a place in the District Final. 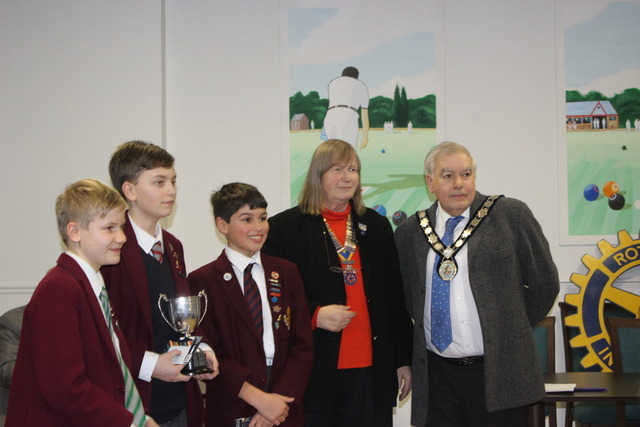 Last Wednesday evening (30th January) three pupils from Beechwood Park School in Markyate successfully represented their school in the district semi final of the Rotary Club Youth Speaks Competition securing a place in the District Final. 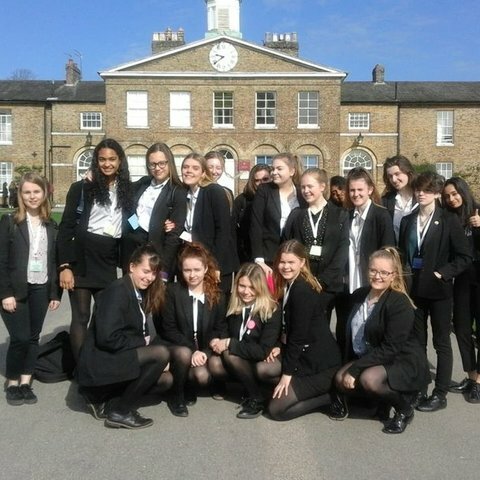 In the initial round of this national public speaking competition, held in Harpenden in January, the Beechwood Park team were up against three teams from Sir John Lawes and one team from Roundwood Park. 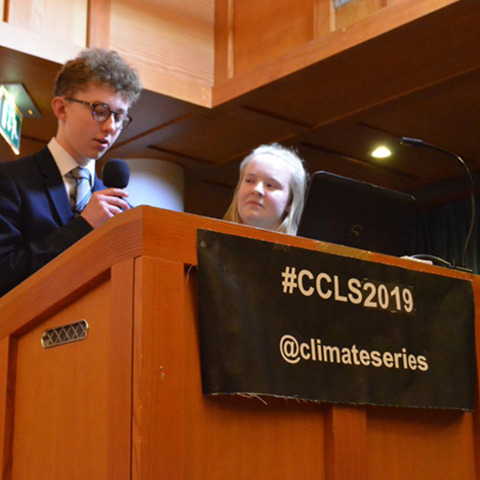 They delivered lively speeches based on their chosen topic: “what is the world’s greatest invention?” In the second round of the competition, they were pitted against the winning schools from Herts, Beds and Bucks and battled a total of eight teams in the intermediate category (11-14). The Beechwood Park public speaking team consisted of Jonathan and Joshua (both in Year Eight) and Freddie (Year Seven). 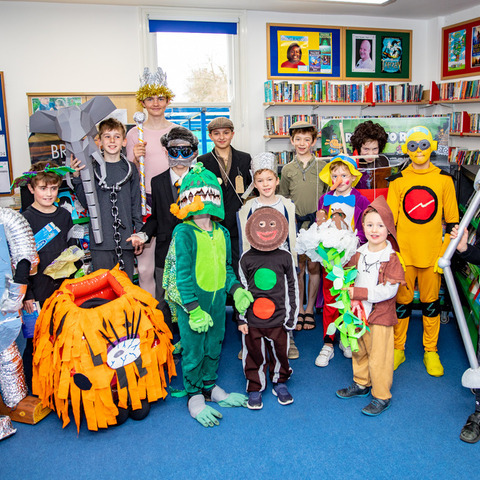 All eight teams in their category performed at an extremely high standard on the evening, covering a fascinating range of issues. After some deliberation, the judges chose three teams to go through to the next round: Aylesbury High School, Ashlyns School and Beechwood Park School. Later in the month, the team will represent Beechwood Park in the District Final which will be held at Leighton Buzzard. Beechwood Park is a co-educational independent Prep School providing a high standard of education for children aged rising 3 to 13, located in extensive parkland in the Hertfordshire Countryside. The School has its own onsite Nursery; Woodlands Nursery which opened in September 2015 in a state of the art, purpose built building nestling at the edge of the woods.